Through both bountiful and meager seasons, Eubanks Produce has consistently stood behind our simple commitment to “do what we say we’ll do”. And we believe that freshness is the single most important attribute of our fruits and vegetables, so we deliver produce that has been picked just the day before to as many local markets as possible. 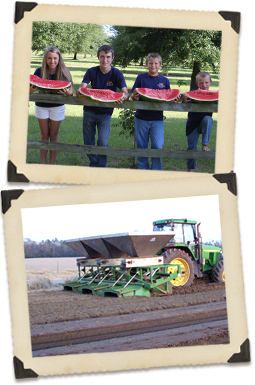 Though our regional competitors may share the same growing season and regional customer base, our more centralized Mississippi location gives us the advantage of being able to service customers in Texas, Louisiana, Alabama, Georgia, Florida, Tennessee, Arkansas and Oklahoma with overnight deliveries. In addition, our diversified crop of fruits and vegetables provide our customers with a broad range of products to help them fill up the truck and make the most efficient use of fuel mileage. Our customers also benefit from the size of our operations which allows the flexibility to meet special crop requests.